Beatrice: It is amazing what two people love chooses to unite. It follows no rules. 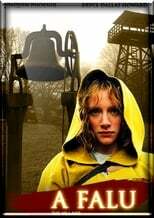 Brown-Eyed Girl: Heed the warning bell, for they are coming. Finton Coin: Thank you, Lucius. You're a good friend. Guard at Desk: Do not get into conversations. Kitty Walker: [whispering] Don't let them in! Noah Percy: [near-hysterical, laughing and sobbing] ... Bad color! Bad, bad color! Bad c-color...! Edward Walker: It is all that I can give you... It is all that I can give you. Edward Walker: Do your very best not to scream. EDWARD: There did exist rumors of creatures in these woods. It is one of the history books I used to teach in the towns. EDWARD: I BELIEVE ONE of the elders is responsible. It will not happen again. There is no one in this village who has not lost someone irreplaceable, who has nt felt loss so deeply that they questioned the very merit of living at all. It is a darkness I wished... you would never know. Forgive us our silly lies, Ivy. They were not meant to harm. EDWARD: On this paper has been written a tool of medicine. It is common in the towns. You will go... with two escorts. Follow the sounds of a stream. A half-day's journey will bring you to a hidden road. At this hidden road, the two escorts will wait as you continue. You alone will follow the road... and leave Covington Woods. You are to tell no one in the towns where we are... and return with haste. I cannot come with you. You gave your heart to this boy. He is in need. Are you ready to take this burden, which by right, is yours and yours alone? EDWARD: That he was, he had a gift for that. If he was given one dollar, in less than a fortnight, he would have turned it into five. You do not know of money. It is not part of our life here. Money can be a wicked thing. It can turn men's hearts black. Good men's hearts. My father could not see this, for all his gifts. He was a poor judge of a man's character. Your grandfather WAS a good man, Ivy. He had a laugh that could be heard three houses away. He used to hold my hand as I hold yours. He taught me strength, and showed me love, and told me to lead when others would only follow. Your grandfather, James Walker, died in his sleep. A man put a gun to his head and shot him while he dreamed. I tell you this so you will understand some of the reasons for my actions, and the actions of others. You are a strong one, Ivy. You lead when others would only follow. You see light, when there is only darkness. I trust you. I trust you among all others. Ivy Walker: [after Noah hands her some red berries] Oh, berries! What a splendid present! Ivy Walker: [becomes worried, covers the berries with her hands] This color attracts Those We Don't Speak Of. [to Noah] You ought not pick that color berry anymore. Lucius Hunt: [In a hushed whisper] He picked it from his pocket. Ivy Walker: Your breathing has changed. What's wrong? Lucius Hunt: [to Noah] If you did not pick this now, where did you get it? Lucius Hunt: [to the elders] Today at resting rock, Noah Percy handed Ivy Walker berries of the bad color. When asked where he had found these berries, for they were unlike any I have seen, he pointed to the drawing on Resting Rock. It is my knowledge that Noah has traveled into the woods on many occasions. It also confirms my belief that the creatures did not harm Noah because of his innocence, and they would let me through to fetch medicines. Ivy Walker: Noah Percy come here this minute. You must go into the quiet room. Noah Percy: No, no I'll cry quarts. Ivy Walker: If you will not go into the quiet room we must strike a deal. Ivy Walker: You must promise never to hit anyone ever again. Noah Percy: No, no hitting. Ivy Walker: Do you promise to keep this deal secret? Noah Percy: Like a church mouse. Ivy Walker: The deal is struck.